Cory will be 7 weeks old tomorrow...unbelievable! Time sure does fly! I'm finally getting back into the swing of things a bit, so I thought I'd better update my blog. Since I haven't been on since before Cory was born, I'd better post a picture of my cute little man! Anyway, since the title of this post is "Changes" I'd better fill you in on that! Stampin' Up!® is going to be adding blogging capabilities to our Demonstrator Business Websites. I am seriously contemplating closing this blog and switching to the one that will be on my website. I am VERY strapped for cash now that I'm not working the full-time job and I've got an expensive baby to care for! Diapers don't pay for themselves unfortunately! My plan is to see how I like the blogging capabilities on my website and make a decision from there. Even though I love Typepad, I just don't think I can justify paying for a blog when I'm only posting sporadically and I only have about 100 or so hits a month. Let me know what you think, and I will let you know what I decide. Also, don't forget that March 31st is the end of Sale-A-Bration, so make sure you check out my online store at my website. During Sale-A-Bration you earn FREE Sale-A-Bration (and some catalog) products for every $50 in Stampin' Up!® products you purchase. And, if you sign up to be a demonstrator you get 15% OFF the Starter Kit price plus a FREE stamp set. Hostesses can also earn Sale-A-Bration rewards. For more information check out the Promotions section of my website. Thanks so much for checking out my blog here, and I hope you continue to follow me even if I change blogging locations! Take advantage of the great deal that is going on this week from Stampin' Up! From July 6th-July 12th you can purchase this awesome bag to carry your Big Shot or your stamping supplies in for just $49.95! That is a savings of almost $20! The bag features zip pockets on the outside and pouches on the inside to help you store all your wonderful supplies. To purchase this bag and any other Stampin' Up! supplies online, please visit my website and click on the Shop Now button in the upper right corner (US only, sorry). The discount will be applied when you checkout. Or you can email me to place your order. Looking to Make More Money or Just Save on Your Favorite Stampin' Up! Products? Well, now's the time to sign up to be a Stampin' Up! Independent Demonstrator! See below for the great offer Stampin' Up! is holding right now. While anytime is a great time to join the Stampin' Up! family as a demonstrator, joining during July and August is especially sweet! Starting your own Stampin' Up! business means free and discounted products, plus a little extra cash--and who couldn't use that? Plus, from July 15 - August 31, you can become a Stampin' Up! demonstrator for only $85! These special offers--the Mini Starter Kit and the In Color add-on to the standard Starter Kit--are only available for a limited time, so you must act fast! Product discount. Demonstrators get a 20 percent discount on all Stampin' Up! products, including stamp sets, paper, and accessories. It's a great way to support your love of stamping and paper crafting. Extra income. You'll earn extra income based on your sales and recruiting--how much extra income is up to you. Maybe you just want enough income to pay the electric bill every month, or maybe your goal is bigger--the monthly payment for your new car--it's your decision! See the Compensation Table for more information. Flexible schedule. This is your business, so you can put in as much (or as little) time as you'd like. Support from Stampin' Up! We love our demonstrators and it shows through our demonstrator support materials, including a monthly magazine, workshop ideas, and audio and video trainings on all kinds of topics available on our Demonstrator Web Site. So what are you waiting for? Contact me TODAY to join the Stampin' Up! family! You can also sign up through my demonstrator website. The UPS Man Brought Me Gifts! Well...not exactly...I bought the stuff myself, but the wonderful Man In Brown delivered my Sneak Peek items from the NEW Stampin' Up! catalog that will be released on July 1st! The lovely package arrived yesterday and was waiting for me when I got home from work. I started mounting the stamp sets on my break at work today and hope to finish them up this evening. Also, if my energy stays with me longer than it has been lately, I plan to make some projects with my new toys tonight. I did update the Last Chance Accessories List a few minutes ago, so check the chart below to see if the items you've been thinking about getting are still available! Don't forget, just click on the Order Online button on the right side of this page to get to my Stampin' Up! website. Then click on the Shop Now button in the upper right corner to take advantage of all the great deals Stampin' Up! has going on right now! On the baby front...tomorrow is my first ultrasound, so if I have a chance tomorrow night I'll try to post the details! Since I don't have any photos of new cards yet to post, I will leave you with a photo of my puppy being cute! This was taken awhile ago, and he is much bigger now. He is a Husky/Beagle Mix and we adopted him from the Monadnock Humane Society in November. His name is Angelus (named after the character from the Buffy the Vampire Slayer/Angel series). He sure can be a little demon sometimes...LOL. WOW - So Much to Share! Yes, I am still alive! Where does the time go so quickly? I again apologize for my long absence, but I have some great announcements that I hope will help you to forgive me! First off, on a personal note, I am almost three months pregnant! The morning sickness has not been pleasant, but I look forward to what's to come. I have my first ultrasound this week so I will have another update after that. Now on to the Stampin' Up! announcements! 1. Today the Country Living Summer Cookout Kit is available for purchase through August 31st, while supplies last. Click here to view the flyer. And click here to view the contents of the kit. 2. For the month of June, Stampin' Up! is giving $20 in extra hostess bucks for personal or workshop purchases totaling $250-$399.99 before tax and shipping or $40 in extra hostess bucks for $400 or more. 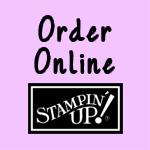 Personal purchases can be placed online at my Stampin' Up! website by clicking on the Shop Now link. If you would like to hostess a catalog party you can contact me at: galetannerdesign@gmail.com. All online sales must be completed before 11:59pm EST on June 30th. Orders through me personally must be completed before 8pm EST on June 30th (I will call you to confirm your order before I consider it complete) to qualify for this promotion. 3. Now that the current catalog is winding down, Stampin' Up! has released the Last Chance (AKA retiring) Products List. The Stamp Sets and Decor Elements are available through June 30th. Click here to view the Last Chance Stamp Set List in Alphabetical Order. Or click here to view the list by catalog page number. The Last Chance Decor Elements List can be viewed by clicking here. The other products are only available while supplies last. Some are up to 50% OFF the original prices! So get them before they're gone forever! Out of stock indicates that the items are no longer available. 4. Last, but definitely not least, the NEW Stampin' Up! catalog begins on July 1st! Contact me to book a workshop and receive a FREE copy of the 2009-2010 Stampin' Up! Catalog and Idea Book (a $9.95 value). On July 1st you will also be able to visit my Stampin' Up! website and click on the Shop Now link to view new items and place your order online. I hope to have some samples using some of the new products for you to see soon, so don't forget to check back! I'm still here...and there are some promotions to announce! Sorry about my extended absence!! My camera battery needs to be charged again, and of course the charger seems to be in that "safe" place that I can never seem to find. I will continue to look for it and I hope to get it in the next few days so that I can post all the awesome things I've been creating. • I will start offering items/classes/card kits that you can purchase online using PayPal! • You will soon be able to RSVP and pay for classes using PayPal! • I am currently trying out Constant Contact for my monthly newsletters, so if you're interested in joining my mailing list please subscribe using the link on the right sidebar! • I am working on coming up with some challenges and maybe even some swaps for everyone to participate in! • I plan to add more tutorials and technique information! • I will start adding scrapbooking samples! • I will add more 3-D, home decor and party favor samples! • Big Shot project ideas will be coming soon! This is a lot of stuff, so I will probably roll out a few at a time over the next few months, but I just wanted to give you all a heads up! Okay, on to the promotions! Sale-A-Bration is still going on through the end of March, so it's not too late to place your order! If you're not familiar with Sale-A-Bration, then here's the deal: for every $50 in Stampin' Up! products you purchase during this time, you will receive 1 FREE Sale-A-Bration item. This year there are 4 Stamp Sets, a Ribbon Bundle and a package of Designer Series Paper for choices. These items will never be offered again, so if you're interested in any/all of them, then make sure you place your order before March 31st! If you'd like to order and you live in the US, then you can visit my Stampin' Up! website to place an order. Stampin' Up! is offering the Easter stamp sets in the Occasions Mini now so that you can have them before Easter! Pictures of the sets are below, and if you'd like to order and you live in the US, then you can visit my Stampin' Up! website to place an order. The entire Occasions Mini 2009 products will be available for ordering on April 1st as well as some other exciting NEW products that you'll hear more about soon. Finally, April is "Get Connected" month, so watch for information on a class and Open House that I will be holding for this event. In this economy we need to focus back on doing the "little things" to show our friends, loved ones and customers that we care and are thinking of them. Let's try to re-connect with these important people by sending them hand made cards, scrapbook pages or hand made gifts. It truely is the thought that counts! I just wanted to give you a heads up that Sale-A-Bration will be starting February 1st, so if you're interested in booking a workshop (in-home or catalog) to take advantage of the FREE stamp sets, then please contact me to set a date! I can do in-home workshops for people located in the following areas: Massachusetts in Franklin and Worcester County and New Hampshire in Cheshire County. If you book a workshop for this event you will receive a FREE stamp from me, and if your workshop sales are $300 or more you will get $10 toward your personal purchase. Sale-A-Bration runs from Sunday, February 1st to Tuesday, March 31st. Customers: Choose 1 FREE Sale-A-Bration product for EVERY $50 you spend on Stampin' Up!® products! Hostesses: Choose 1 FREE Sale-A-Bration product for hostessing a $300 or more workshop, in addition to the normal hostess benefits! If you are interested in signing up to become a Stampin' Up!® demonstrator this would be a great time to do it! Recruits get to choose any retail stamp set (a value up to $47.95) from the current catalog when signing up during the promotion! If you have any questions please don't hesitate to contact me for more information! You can e-mail me at galetannerdesign@gmail.com. Hi stampers! I have exciting news! Stampin' Up! just announced an inventory blow-out! From Jan 5th-Jan 18th get retired, retiring, and current products up to 50% off the regular price! See the charts below for the listing of products and their promotional price. These prices are only good while supplies last, so don't miss out! Also, scroll to the bottom of this post to see the complete list of retiring accessories which are only available while supplies last (or until Jan 18th - whichever comes first). Don't delay!! here only until Jan 18! Before every new catalog Stampin' Up! releases a list of stamp sets that are retiring. This means that they will no longer be offered in the new or future catalogs. If you would like to purchase any of the stamp sets on this list, please visit my Stampin ' Up! website and place your order online or email me your information and your order. Click on the image below to see the retired list full-size. Get ready for Valentine's Day with the exclusive Love You Much Bundle (item 115405). If you are interested in purchasing this bundle please email me. As of right now only demonstrators can place the order for these, however, as soon as it is available for online ordering I will let you know.